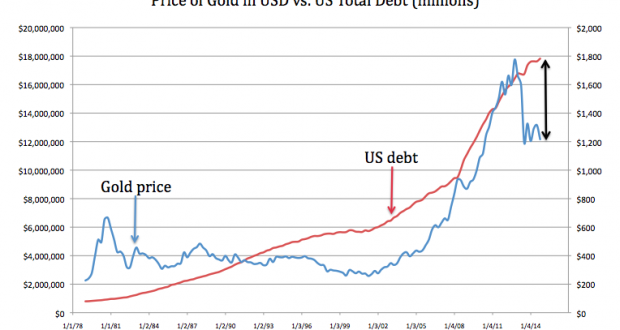 As the chart shows, gold has tracked the expansion in US debt pretty handily (editor’s note: the correlation between the two is a strong +0.86). A second rationale for holding gold takes into account the balance sheet expansion of central banks. If one accepts that gold is not merely an industrial commodity but an alternative form of money, then it clearly makes sense to favor a money whose supply is growing at 1.5% per annum over monies whose supply is growing up to 20% per annum. Previous: Academia – The Great Fraud?